You are at:Home»CFD Academy»SimpleFX vs. eToro comparison – Which of the two modern brokers is better? SimpleFX vs. eToro comparison – Which of the two modern brokers is better? We took a close look at the two platforms. Trading online carries a certain degree of risk that all investors should be aware of. It is important to choose the right platform that offers functions and marketplace that can provide sufficient hedge measures. eToro is a popular social investment platform. That is why we made this eToro review where we go over the platforms most distinctive features. We know that many investors are looking for better eToro alternatives. That’s why we investigated the differences between SimpleFX WebTrader and eToro. Read on to find out where each platform performs better. If you already know eToro you will find out that when many crucial features SimpleFX WebTrader comes on top of CFD trading capabilities, which we will show you here. eToro is a Contract for Difference (CFD) platform where it is possible to trade various assets, including cryptocurrencies. You can trade cryptocurrencies, ETFs, stocks, indices, commodities, and fiat currencies at this modern brokerage. It is a combination of trader networking and regular CFD investment. Its services, much like with other CFD marketplaces, are available globally. However, what really makes it a popular choice among the trading communities is its social trading functions. 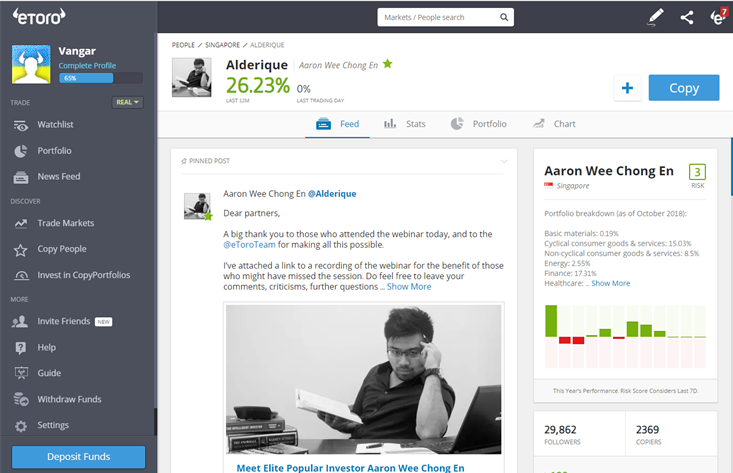 eToro WebTrader has a unique feature of allowing clients to use social trading utilities. Keeping it simple, eToro provides a function where you can copy orders from other traders, called “Copy People”. Apart from the copy-paste feature, the platform also gives an opportunity for all experts to earn from profits that their followers make. Just like in classic social media, you have profiles of the top traders in the market for each investment category. You can check it out in the snapshot below. Many would see this as a perfect chance to learn to trade and earn without efforts by using the knowledge of more successful investors. However, it is quite a risky endeavor, especially if the copied order gets into the market at the wrong time. If you are seeking a worthy alternative to eToro, SimpleFX WebTrader should be your top choice when it comes to CFD trading. The marketplace operates since 2014, offering brokerage services to traders around the world. Using SimpleFX WebTrader, you can invest in much the same types of holdings, as with eToro. The company specializes in limit and margin trading while keeping its interface user-friendly for both experts and beginners. Apart from several similarities, there are also major differences that separate SimpleFX and eToro, all which will be covered in the following sections. While with SimpleFX you can use a fully functional demo account with just an e-mail. When you want to deposit funds, you’ll need to go through a smooth SimpleFX Know Your Customer process to verify your identity and address. The difference is even more drastic when affiliate programs are in question. SimpleFX offers powerful tools for affiliate marketing, including banners, landing pages, and multiple referral links for A/B testing. All that is available with only an email. eToro, on the other hand, requires 20+ account details for affiliate partners to fill in. 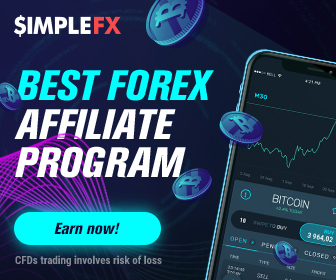 More importantly, SimpleFX offers a chance to withdraw affiliate revenue expressed in cryptocurrency. eToro supports credit cards, bank transfers, Neteller, Skrill, and Union pay as methods of deposit and withdrawal. SimpleFX offers FasaPay instead of bank transfers and credit cards, which makes funding cheap, easy and anonymous. Traders can also add to their balances with the help of Neteller and Skrill, as well. As seen in the picture above, SimpleFX also allows crypto deposits/withdrawals, while eToro works with fiats only. The minimum deposit at eToro stands at $200 while SimpleFX does not have any limits. eToro thrives through its social networking and ability to copy other traders. However, the method does not come without risks, as often the situation they are applicable in is only short-lived. 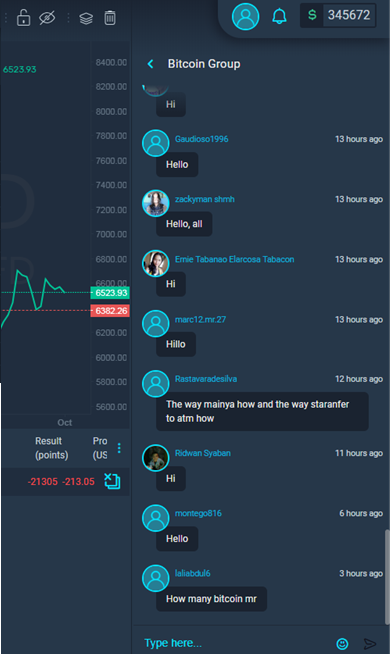 SimpleFX, on the other hand, offers a “Shoutbox”, where participants can chat and deliver signals to each other all the time. 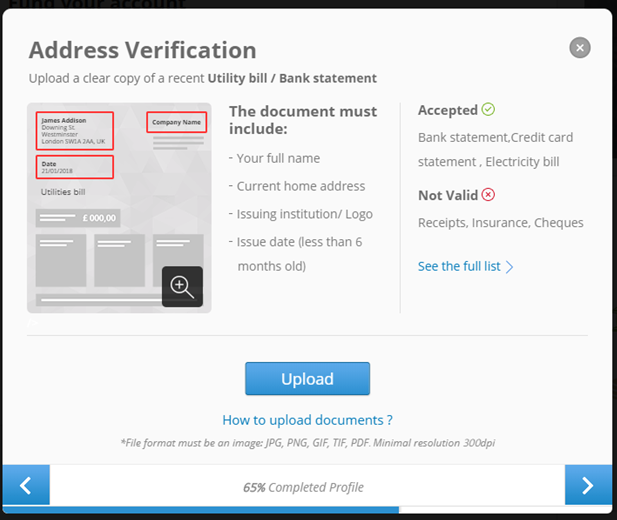 eToro has a regular email and ticket support page. At this point, the platform has about 7+ delays in replays due to the number of clients. 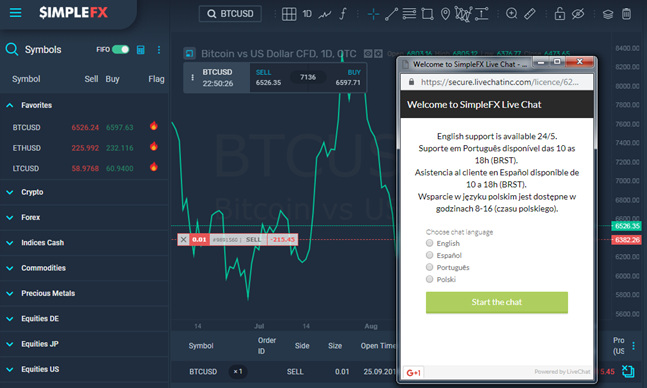 SimpleFX solved the problem by introducing live chat and has one of the fastest response times in the industry. The chat is open 24/5 for traders to use if they encounter issues that need to be immediately solved. SimpleFX WebTrader has an easy-to-use trading platform, geared towards both starters and experts alike. 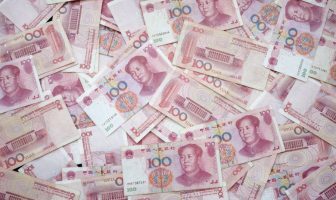 eToro does provide an easy access to the marketplace, though some of the sections are quite expert-oriented, such as copy trade, copy portfolios, trade markets. Total beginners should not use these pages, not without sufficient knowledge of the market. If you are hunting for some exotic trading pairs, SimpleFX should be on the top of your lists. The CFD providers offer ETC/BTC crypto pair to cross while more exotic variants include BTC/CNY, BTC/JPY, BTC/EUR, LTC/CNY, LTC/JPY, LTC/EUR as well as XUA/BTC (gold in Bitcoin). Additionally, at SimpleFX WebTrader, it is possible to trade in exotic stock markets as well, including Brazilian, Turkish, and Japanese exchanges. eToro offers lower leverage rates for all of its available assets when compared to SimpleFX. You can see it in a table below. When it comes to stop and profit limit functions, both brokerages offer these. 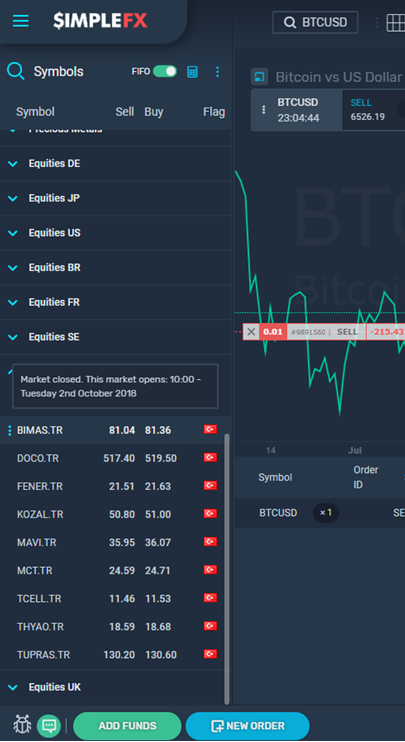 However, SimpleFX offers the same set of functions for cryptocurrencies, while eToro does not allow stop-loss for crypto CFD. 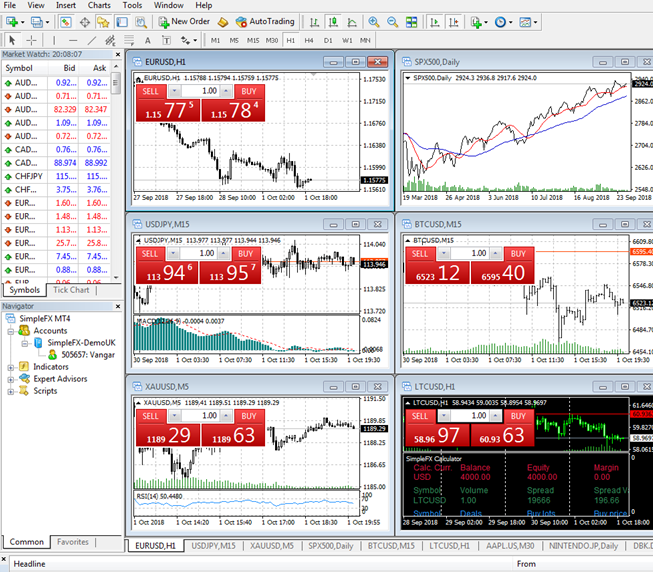 The downloadable desktop version of the SimpleFX market is available through the free MT4 program. On the other hand, you only have eToro WebTrader, as the platform did not intergrade the MT4 software into its system. All in all, in this eToro review and comparison analysis, we deem that, although popular choice, SimpleFX has more features for traders. This is especially true where cryptocurrencies are in question. For beginners, a fully functional demo account and no minimum deposits for a live account are killer features. 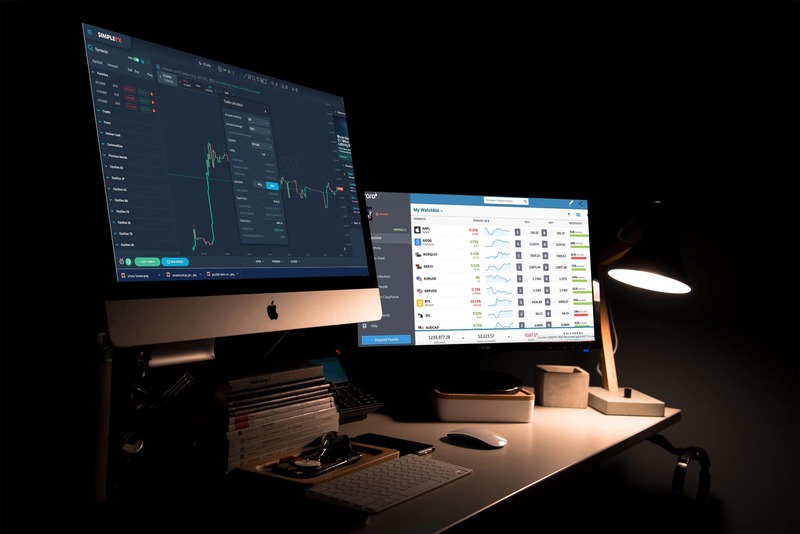 For advanced traders these are – app’s speed and reliability, great affiliate program, and API manager that should convince them to switch to the new SimpleFX WebTrader. Add to that easy-to-use platform and high leverage rates, then you clearly have a winner of the day in SimpleFX WebTrader. If you want to try crypto CFD trading check out SimpleFX WebTrader. 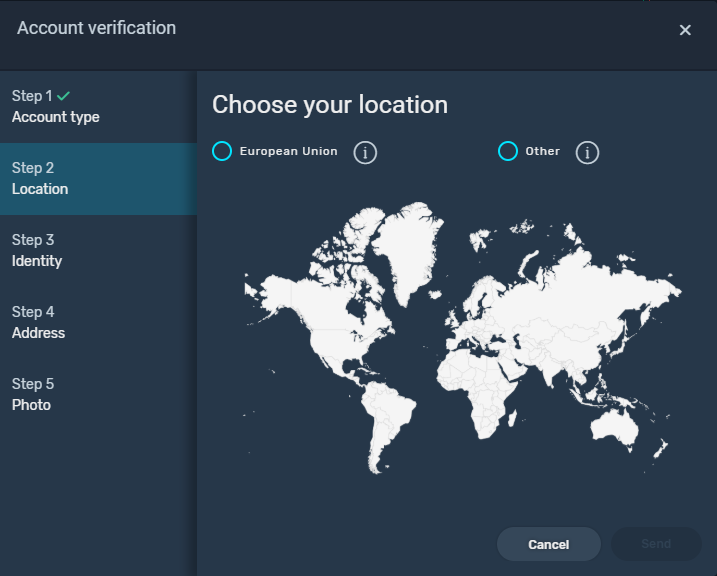 You can test it with a fully functional demo or a live account with some funds for start. Next Article How To Choose A Cryptocurrency For Day Trading?